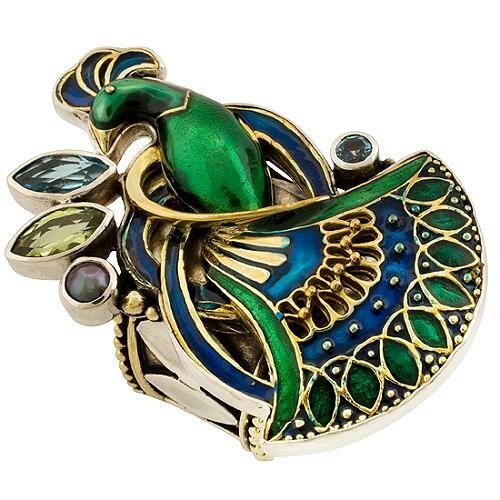 Vintage in style and whimsical in spirit, this gorgeous Mars and Valentine peacock ring combines blue and green enamel accented with semi precious stones set in an intricate sterling silver setting. Size 7. Top dimensions: 1 5/8" x 1 1/8"
Bag Borrow or Steal is not affiliated with Mars and Valentine®. Bag Borrow or Steal guarantees the authenticity of this item. Mars and Valentine is a registered trademark of Mars and Valentine.